I recently made this adorable dress using a vintage embroidered pillowcase and a purchased shirt. It was very simple to make and took less than 30 minutes to complete, so I thought this would be the perfect tutorial to share with you! 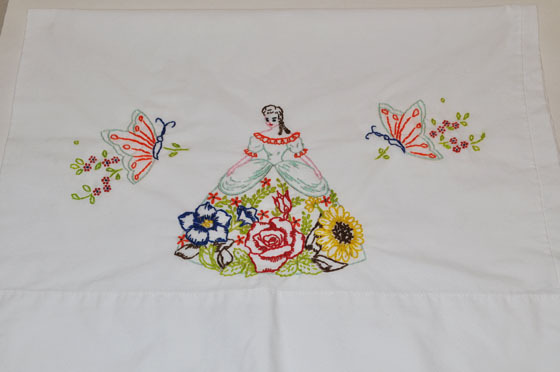 I was fortunate to have several lovely vintage pillowcases, hand-embroidered by my mother-in-law from which to choose. According to my husband, his mother, Mary, would sit most nights working on her embroidery projects. 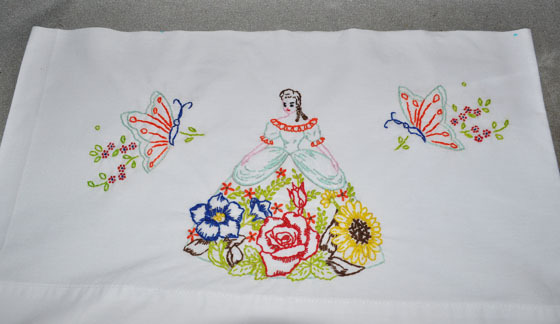 After her passing, we inherited several of her embroidered pillowcases. If you don’t have any family heirlooms readily available, don’t despair, you can check local flea markets, estate sales, or antique shops to find a vintage pillowcase that will work for you. 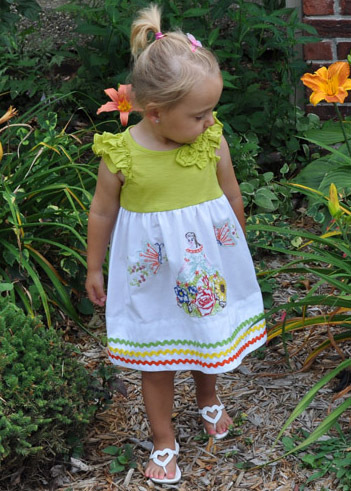 I wanted this to be a special dress for my granddaughter, so I choose a charming design with a beautiful southern belle, flowers and butterflies. I bought a cute little green knit top at my local Target store and added some rick rack for trim. It’s that simple! Wash, dry, and press both your pillowcase and shirt. 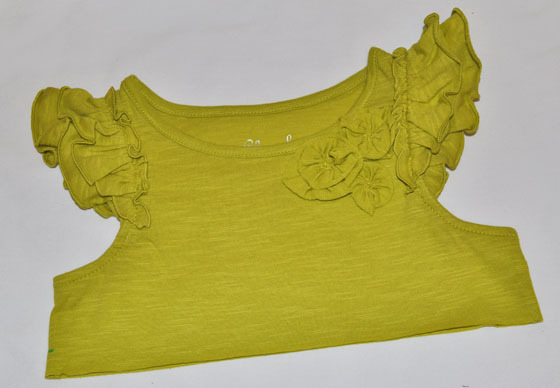 Measure your little girl to get the correct dress length. 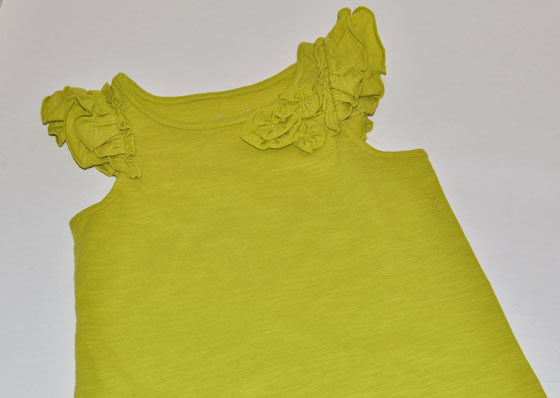 The average dress length for girl’s size 3 is 19″. (See the dress length chart at the end of this tutorial for other sizes.) This length worked perfectly for my granddaughter, so I used that overall length to determine my pillowcase skirt length and the shirt top length. For the empire waist, measure down about 3″ below the bottom of the arm hole, then add 1/2″ for seam allowance. In my case, my shirt length ended up about 6″ plus 1/2″ seam allowance. I cut my pillowcase for the skirt portion 13 1/2″ long (13″ for skirt plus 1/2″ for the seam allowance). This made my overall dress length 19″. 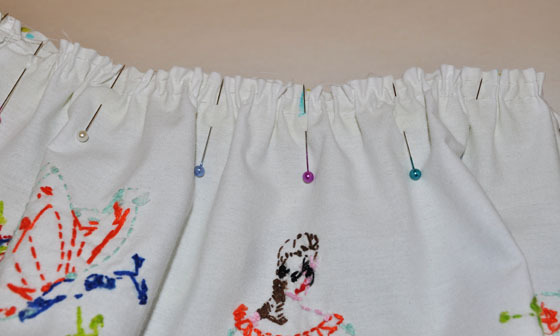 Once you have your gathers pulled up the right amount and evenly distributed around, pin the pillowcase skirt to lower edge of shirt top at close intervals, then stitch all the way around, gather side up. Finish seam and trim. 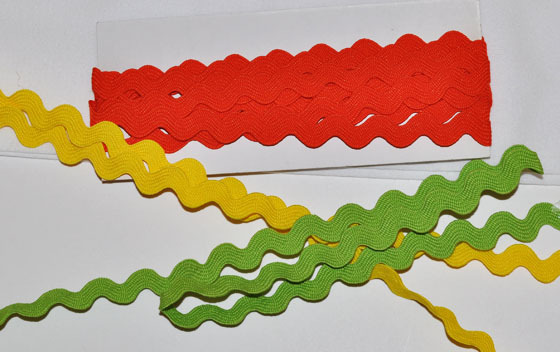 Add rick rack or other trim/embellishments for a lovely finishing touch to your dress. What I loved most about this project is that my granddaughter now has a very special dress made for her by her Grandma and her Great-Grandma! I would love to see your pillowcase dress creations, so please feel free to share! Everyone loves a party! Look for me at these fabulous Linky Parties! This entry was posted in Free Patterns, Kids Clothes Patterns, Sewing, Sewing Patterns, Tutorials and tagged embroidered girls dress, embroidered pillowcase, embrroidered pillowcase dress, free giirls pillowcase dress pattern, free girls dress pattern, girls dress, pillowcase dress, pillowcase dress pattern. Bookmark the permalink. Thanks Jennifer! Stopped by and linked up already! Love your blog! oh wow this makes me look at my pillow cases in a whole new way!!!! lovely!!! Can you be more specific in your instructions for attaching the skirt to the top for us sewing novices. What does it entail to “finish” a seam? Thank you. Gorgeous dress! 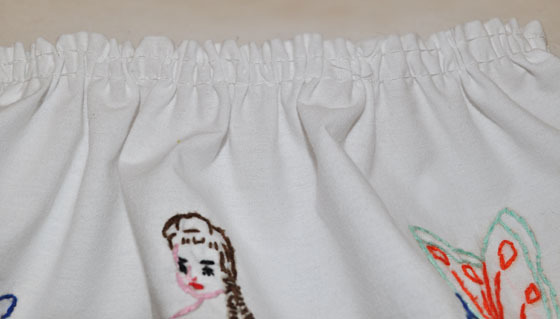 Once you have gathered the skirt so it fits the lower edge of the top, pin the skirt to the lower edge of the top, right sides together making sure the gathers are evenly distributed around, then just stitch in place using a 1/2″ seam allowance. I finished my seam by zig-zagging the edges together (just so it wouldn’t ravel in the laundry.) Some people have Sergers and use that to finish their seams too. Hope this helps! Thanks!